Greetings, I am in the process of building an off-grid, remote cabin project, new build, of app. 1200 square feet. It is located at 10,000 feet off McClure Pass, in a climate that freezes hard all winter. The cabin will be used in winter for skiing often - when occupied perhaps 30 days a year, it is heated only by a wood stove during use. When not used, it will reach outside temperature until someone returns weeks later and heats it for use again with the stove. There will be a small 120 Volt battery and solar system to supply power to the water system pump(s) and propane water heater. I am searching for a propane hot water heater that is rated for 10,000 feet - tank (ideally 20-25 gallons) or tankless. the only model I have found that meets the criteria is a Rheem for a manufactured home spec'd in the propane 29 gallon model. Is anyone aware of other options? I would prefer to go tankless if possible to avoid having to heat and then drain a tank each time we come and go from the cabin. Gas appliances can be adjusted for high altitude by reducing the fuel orifice, much similar to re jetting a carburetor, a gas fitter friend has a orifice drill set he uses ti convert propane BBQ's to natural gas, though in your case this orifice would need to be smaller, less fuel. One thing with tankless water heaters in cold climates is the incoming water temperature can reduce performance, along with the altitude loss moving to a higher BTU may be required. Attached pdf is information on the subject. Tank, or tankless, both water heaters, and all their plumbing, will need draining. There are fancy 3 way valves that can make that easy at the appliance, and little bleeders (like tire air valve size) for the low spots in the plumbing lines. don't count on PEX being safe, it's fittings will break. The tube stretches just fine. Will YOU personally be using the cabin, or will "renters" use it ? Generally, renters have no grasp of the solar concept and will severely deplete the batteries and then complain loudly, it didn't work. Suburban makes 3-12 gallons RV water heaters (tanked)... They also have orifice/air control option for high altitude (>4,800 feet) operation... A few reports that I could find that were around 8,000-10,000 foot operation (will be a derating in BTU due to altitude). I would think a tanked water heater is going to be more rugged/forgiving than tankless (as above). Everything will still need water draining, including the tankless, before you let the cabin freeze. 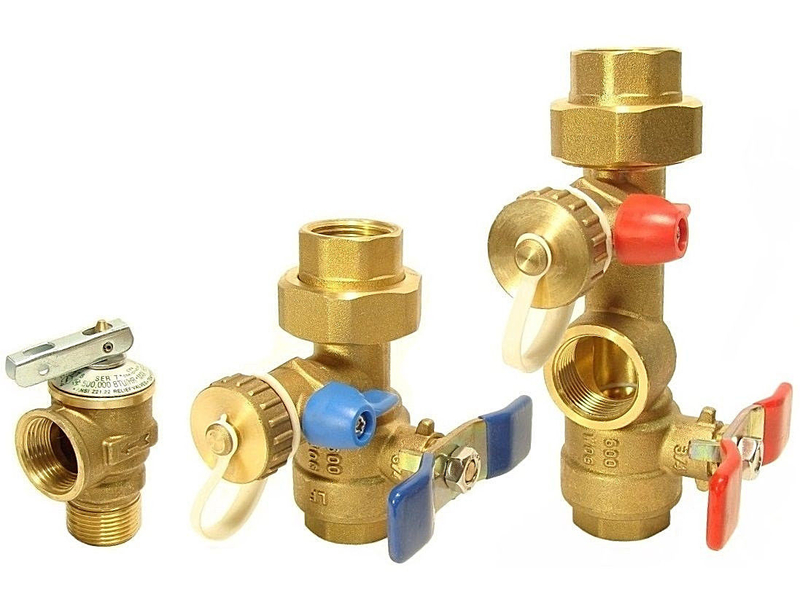 There are flush kits with special valves that can be plumbed into the tankless water heaters. I have similar valves on my tankless - not for hard water, but for ease of draining and pumping a bit of plumbing antifreeze through for freeze protection. Also for bleeding air out of a loop supplying a heat exchanger for in-floor heating. The cabin will be used by my family and friends. No renters, but the nuances of the systems and the process for draining the plumbing will be critical. We are planning to have a pressurized system and a blow out for a compressor to quickly drain the system. The source of water is a 2500 gallon cistern buried upslope below frost line. We will fill it from a neighbors well or haul water. It sounds like the Rheem might be the best. I am a bit wary of RV tanked water heaters. Do you know what the water pressure is for the gravity feed, or do you plan a booster pump? A tankless will need a minimum pressure and flow to operate. My tankless works, but marginally so on gravity feed alone. Opening another faucet will make it cut out. If hot water use is just dishes and handwashing etc., an rv tanked heater might work fine. For more than a single, really quick shower, not so much. I had a normal sized tanked heater, but for weekend visits I usually didn't bother turning it on as it took a while to heat, and wasted the heat turned off during the week. The tankless gives as much hot water as we want as soon as the water is turned on. I think the OP's first choice is the way to go. Less to go wrong as long as you drain things. 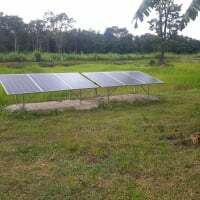 Less is more offgrid! Easiest thing to do, I think, is buy the heater in the area. I believe there is a Home Depot in Eagle, CO for example. There will be a stick-on that says high altitude. Ditto Softdown ! People have been using tank heaters a very long time. Either system can be damaged easily from freezing. The tank may give you one day longer before it is damaged if it is really cold where it lives. We installed a tankless water heater from Home Depot in an off-grid place we have at about 8000 ft. in Utah. It always gave an error and shut off and and we figured out that even though it was purchased at 5000 ft. elevation, it shouldn't be installed above 2500 ft. It also needed way too much flow to get it to start heating. So we found this Takagi tankless on Amazon (https://www.amazon.com/gp/product/B0057X28EG/ref=oh_aui_search_detailpage?ie=UTF8&psc=1) and so far it works great - we've had it for about 9 months. If you read the reviews, there is one from a person in Colorado that installed it at 7600 ft. and she details how you have to change the dip switches for very high altitude. It also will start heating water with only one faucet turned on which is a big deal. Hey @ChairMtnCabin - I never saw your post. Must be awesome to have a place up near McClure Pass. It easily is the most beautiful place to see the fall colors in all of Colorado. The colors up in the northeastern US are quite spectacular, but if you combine the aspen trees and the mountain peaks, it's just the best. We have a cabin over between Montrose and Telluride, at 9,000 ft. We've had a standard 30 gal water heater there for over 40 years. I think the current one is about 20 years old, and it is either the 3rd or 4th in that time. I am absolutely certain that no one ever bothered to find a water heater that was "rated" for 9,000 ft. I'm pretty sure no one even thought about it back then, and no one thought to "rate" the performance at altitude. I may be wrong, but I don't think you have anything to worry about. As others have said, there may be some adjustments to optimize the burner for that altitude, but I know we haven't done that either! Edit to add: I just checked with my family. No one is aware of anyone who has purchased anything but a stock hot water heater (or gas furnace) at cabins near us, in Telluride, or anyplace else. I think I see an opportunity for a new business: I'm going to buy cheap water heaters at Home Depot, put stickers on them that say "High Altitude" and then sell them for $1000.